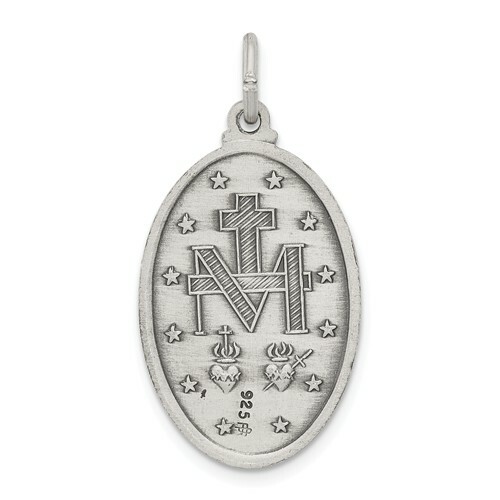 Oval miraculous medal is made of sterling silver. 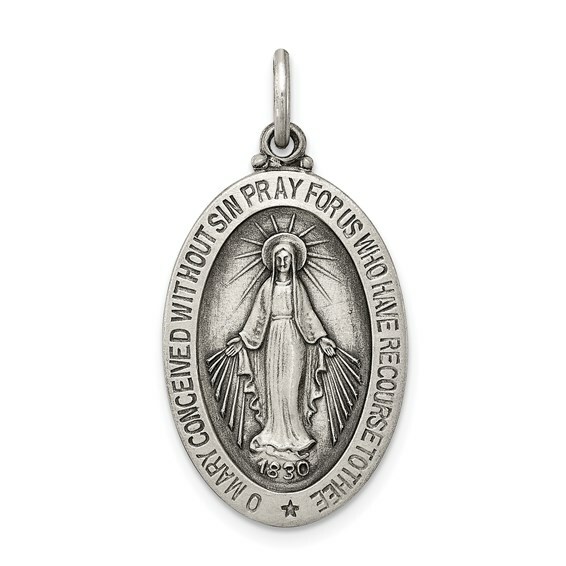 Dimensions: 15/16 inch tall by 5/8 inch wide without bail. This item is slightly smaller than a quarter. Chain not included.